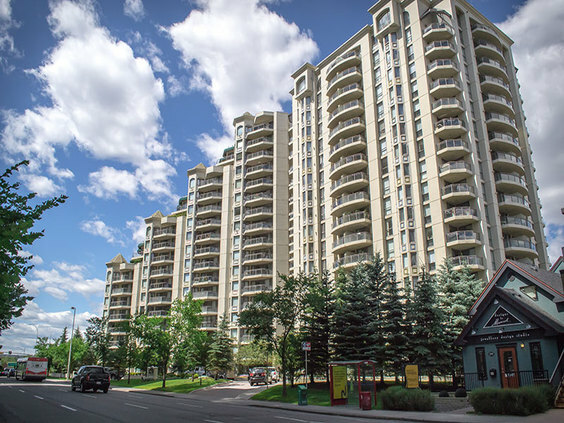 The Marquis is located in the popular west-end district of Calgary's downtown. . This area provides a convenient commute to all offices and amenities within the downtown core, while also offering an easy commute to the west of the city. The main levels of most buildings in this area offer a variety of amenities including restaurants, pubs, services and more. From this location you can walk to Kensington or Uptown 17th Avenue in 15 minutes, Eau Claire in 20 minutes, and Stephen Avenue in 22 minutes. Alternatively, the 10th Street LRT train station (which is free to ride through the downtown core) is a 2-block walk from the building. The Bow River Pathway, a network of bicycle and pedestrian pathways on the banks of the Bow River, is located only a short 2 blocks away.